Google Site Search another product of the search engine major, which runs on a paid model, will be gone soon. 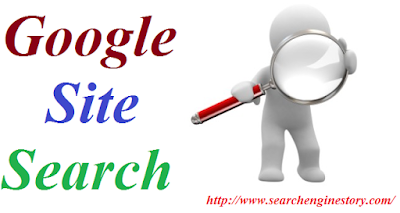 This product empowers the internal websites to use it as their internal search engine. For the services the search engine major offers, it charges fees on a basis depending on the number of queries it has received for any product or service. Of late, Google has announced and requested the websites that use this product to empower their internal search engine by making use of “cloud search product” or “free custom search engine”. This product will no longer be offered from the end of 2017. The search engine’s prevailing clients have been allowed to use GSS till their licenses are valid. However, Google has clarified that no further licenses will be issued for new customers or clients. By default, the moment the client’s license expires, the account of the client will become CSE type of account or Custom Search Engine account. An interesting aspect of the new change that will be brought about does assure clients of technical assistance till the time the license does not expire. In the announcement that the search engine major said for the clients’ contracts that become invalid between the period April 1st 2017 and June 30th 2017, an additional extension for a period of 3 months will be considered for product queries. CSE, the short form for Custom Search Engine, is a free version that supports advertisements that makes use of the technology of Google. Interestingly, the features that are enjoyed by the prevailing customers are similar to the features that are offered by GSS. Aside from the features, the functionality of the two products is more or less similar. As such, the search engine major has urged and encouraged its clients of Google Site Search to assess the differences and similarities of the two products. Google has, however, made one thing clear to its customers that in the event the clients are not opting for the other product, it has the option to discontinue or remove the internal website search engine services. How did the model work? The search engine major used to charge from the customers depending on the number of queries that are received every year. This can be better explained by the following example. It is assumed that a small website receives as many as 25,000 searches, it would charge around $125 approximately. This applies for smaller websites. In the event of bigger websites, Google can charge up to $2000 approximately for as many as 450000 queries. Just as Google announced the discontinuation of the Site Search product, the discontinuation of so called Google Search Appliance was announced a year ago. The announcement has had an impact on the customers that are using this product. This holds true especially for the smaller websites. However, the impact will be felt not in the current scenario but once the license of the service expires. And finally in the last quarter of 2017, the service will be discontinued fully. The companies that are not equipped with an in-house technical support team can seek professional assistance for the same and hire professionals that are well versed and most importantly well equipped to handle such a situation. Till the time the licenses don’t expire, companies can continue using the services and also avail technical support for a period of 3 months as promised by the search engine major. Thereafter, whether migrating to the newer product will benefit the company’s internal search queries is a measure that requires to be adopted by companies that deem it necessary for its websites.